Lindström is the first textile service company that fulfills the requirements of renewed ISO 9001 and ISO 14001 standards. The fulfillment of the new requirements is the result of long-term development. “We have concluded management system recertification process, which we started few years ago with focusing to define and implement our core processes, updating our risk management system and taking quality and environmental management closer to our business operations,” says Senior Vice President Harri Puputti. At the same time with renewal of management system certification, Lindström created its vision of the future. New vision, describing year 2020, and strategy aiming to vision targets was made with hundreds of Lindström employees in 2015. According to its vision, Lindström is the best service company in five years. “In our new strategy we aim to be the best service company by creating value to our customers with everything we do. The timing of our management system re-certification was facinating, since at the same time we have been communicating our future views. We received positive feedback from the auditors of communicating the strategy to our employees as well as starting strategic development projects”, says Puputti. Lindström has certificated its management system according to ISO 9001 and ISO 14001 standards already from 1990´s. 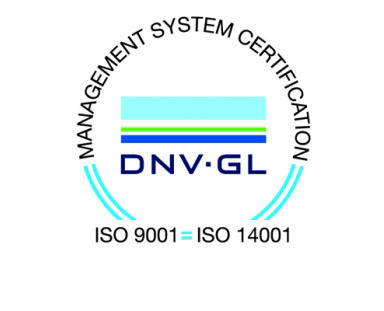 During 2016 management system was re-certificated according to ISO 9001:2015 and ISO 14001:2015 standards. New certificates are in effect until 31st October 2019. Textile service company Lindström strengthens the company image of its customers. Our service makes our customer’s everyday life easier and provides the best value on the market. We are a responsible corporate citizen and a respected employer. Lindström is the employer of over 3000 people in Europe and in Asia. The group turnover in 2015 was 302 million euros.